We encourage women in the community to join Self-Help-Groups, which is linked in with Women's Empowerment. 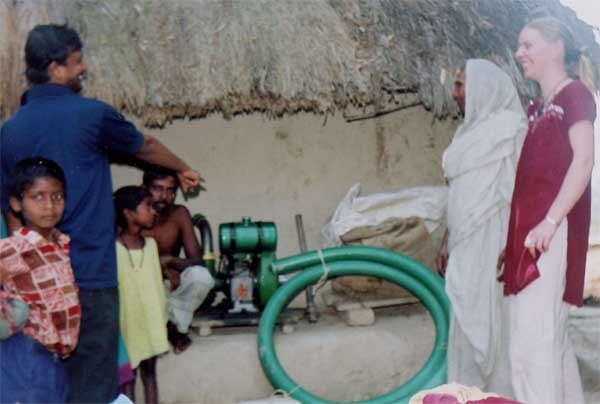 We concentrate on training programs for organic vegetable farming, animal husbandry, needework, soft toys and crafts - After which the women can apply for small start-up loans for income generating projects. This enables them to pay back the loans wihtout hardship. In Sundarbans there is a large number of families whose livelihoods are derived from the nearby forest reserve or from prawn seed collection. This puts families members in danger of tiger and crocodile attacks. 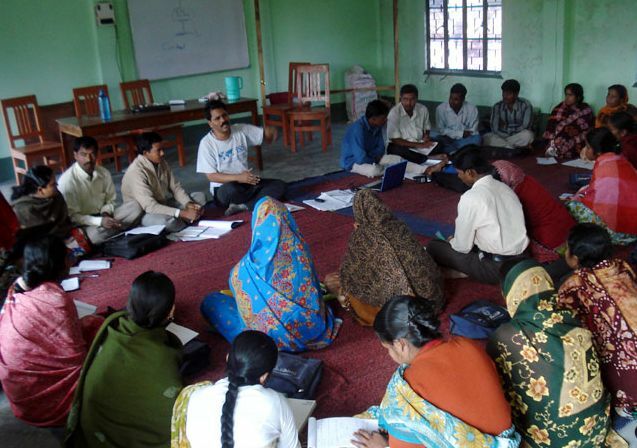 We seek to form Self-Help-Groups in these areas and thereby prevent future loss of life. 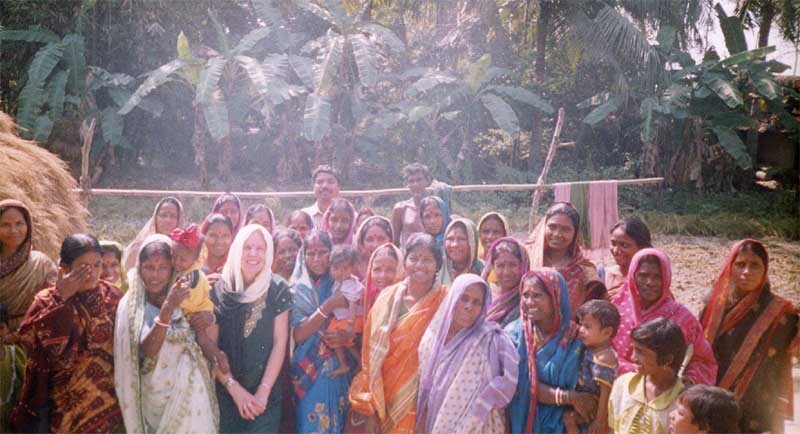 This Tiger Widow entered a Self-Help-Group and practiced small savings. She then took out a small loan and purchased some hens. This now gives her an income by selling eggs in the local market. She can repay the loan and make profit. There are many women with similar stories who have benefited greatly from joining the groups. Even small loans of €10 makes a huge difference to these families. They all have their own stories to tell. What does your money achieve? A loan of €40 gives a family the chance to construct a pond to start up a fresh-water-fishery. They can sell the surplus fish. 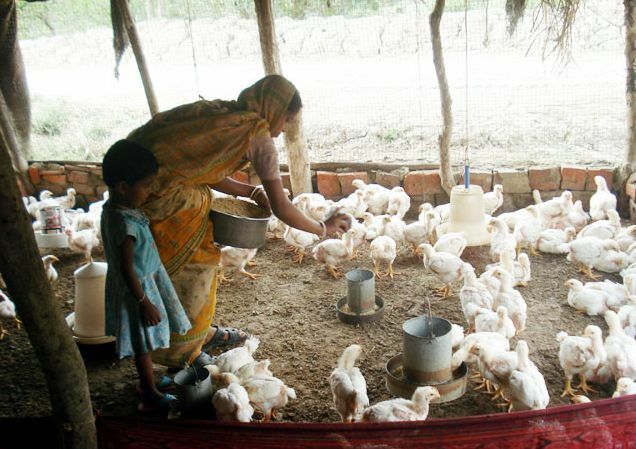 A loan of €20 enables a family to build a poultry coup and purchase geese, hens or other birds for egg production and sale in the local market. A loan of €20 enables a family to lease and till a piece of land, buy some seeds and plant a vegetable garden for the family and market. They can plan for the lean season and fetch high prices. 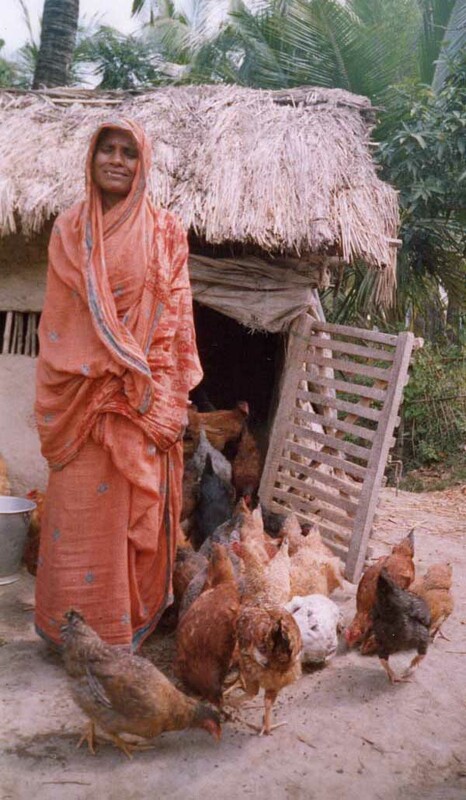 A loan of €10 enables a widow to purchase a goat or a pig. She can then breed animals and sell the surplus. 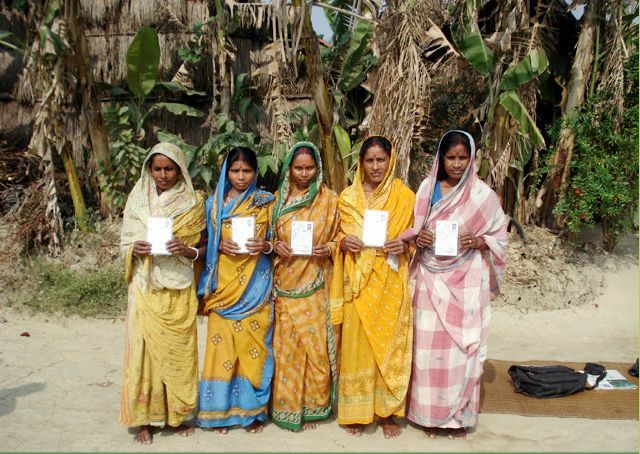 The first step is to motivate the communities and form a group of about 15 women of similar savings capacity. Group leaders are appointed and rules are drawn up. Groups meet monthly. The women are introduced to the practice of saving money. Even if it is only a handful of rice each day, it can lead to monthly savings. They learn about loans and how to write their names on their savings books. After a year of regular savings they are eligible for a loan. It is generally to be used to generate an income for the family or widow. They themselves maintain their own regulations concerning the loans and repayments. We monitor the groups and may intervene in certain cases. For more information please read these case studies.